S A Partners support for charities continues with the help of family members. Jeff Williams, partner, head of Business Development and Food & Drink, was extremely proud to support his daughter, Kirsty Williams, in her quest to complete a half marathon for charity. 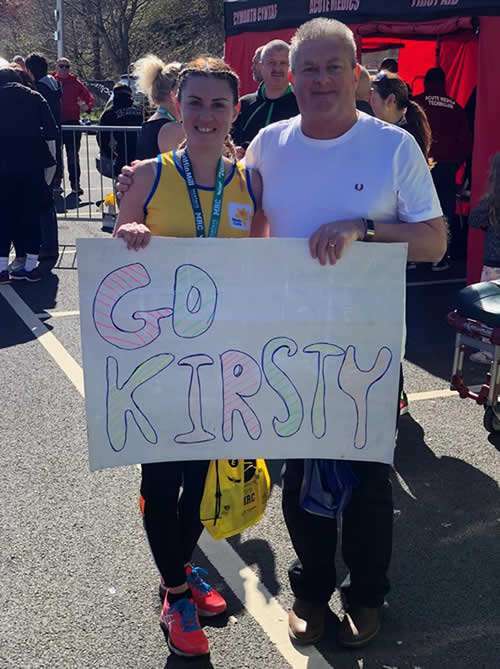 Kirsty ran the Merthyr half marathon in order to raise money for the Marie Curie Foundation, but whats more remarkable, is that Kirsty has never run a half marathon before, and spent 8 weeks training for the run, finishing in style. Jeff was delighted to sponsor his daughter on behalf of S A Partners, by donate £560 to this worthwhile cause. The Marie Curie Foundation provides care and support to people with terminal illnesses and their families. It was established in 1948, the same year as the National Health Service. The charity provides care to over 60,000 terminally ill patients in the community and in its nine hospices, along with support for their families.More than 2,700 nurses, doctors and other healthcare professionals help provide this care. If you’d like to donate to this charity, then please visit the donation page. Any amount, small or large, helps fund this valued and worthwhile charity.